X-Men movie franchise has never been so awesome before, which made X-Men: First Class on top of my X-Men movie franchise list (next to X-Men: Wolverine, and the three other X-Men films). Sorry to all Professor Charles Xavier aka Professor X fans out there, but this movie is for Erik Lensherr aka Magneto! You might think at first that X-Men: First Class is a gay-themed movie because of the budding and flourishing bromance between Erik and Charles (Magneto and Professor X), but obviously... it's not. 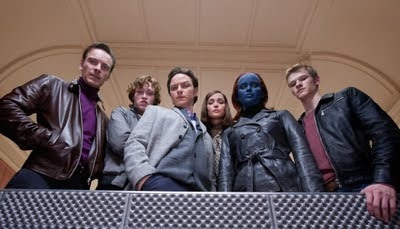 The movie unfolds the beginning saga on how the X-Men was formed, and how the mystery of their past events where told. Excitingly as it sounds, X-Men: First Class is the prequel of all prequels! In this X-Men movie franchise, each character were introduced in a manner where everyone gets their full five minutes of fame! The director, Matthew Vaughn has done a great job for interpreting an equally brilliant screenplay by Bryan Singer. I really love how the movie was written in a manner that each scene and each sequence are not boring. The pacing may be slow, but every scene is exciting, you might need to practice watching a movie without batting an eyelash first, before going to the cinemas! Hahaha! X-Men: First Class refracts to the time when Charles Xavier aka Professor X (James McAvoy) who can control minds and Erik Lensherr aka Magneto (Michael Fassbender) who has the power to control magnetism are close friends who have started to discover their powers the first time. They began as closest of friends working together with other mutants (some familiar, some new) to stop the greatest threat the world has ever known. Made to work together in a forthcoming globally critical event, a rift between them ensued in the process. Thus began the eternal war between Magneto's brotherhood and Professor X's X-Men that puts an end to their friendship, marking the beginning of their lifelong rivalry. The setting of X-Men: First Class was in the 60's, however, it was not clearly shown in the movie that 60's feel era (clothes, shoes, fashion, hair style, etc. ), well... except for the machineries such as that of the working prototype called, Cerebro. But I really don't care much about those because the main focus of the film is the central characters Erik and Charles, on how their friendship was formed and ruined because of some ideological differences. Michael Fassbender's portrayal of Magneto (Erik) is very human-like --— you know he was angry because there was something that triggered the anger. You'll sympathized and at the same time get mad at Magneto. James McAvoy's character, Professor X (Charles), on the other hand, is dominant to watch on the screen yet you will feel that McAvoy is not taking the limelight out of Fassbender, because like what I said before, X-Men: First Class is a Magneto movie! Overall, X-Men: First Class is definitely one of the must-see movies this season! You'll have to watch the film to confirm my writings! Hehehe! Below is the movie trailer of X-Men: First Class. 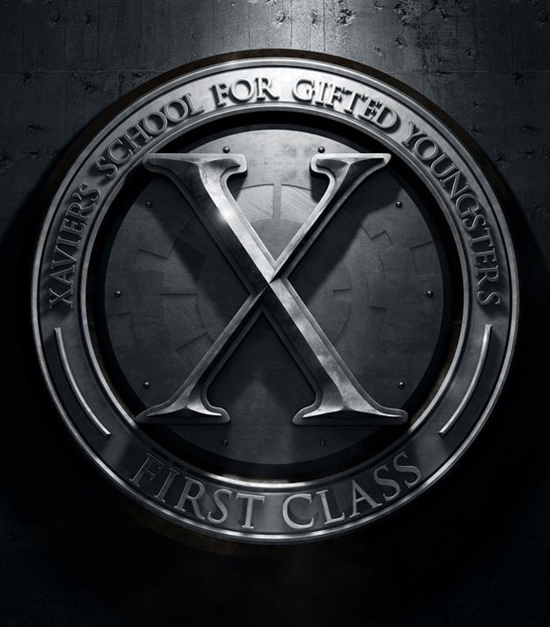 X-Men: First Class is showing on June 2 in theaters, worldwide! Enjoy!